American Standard H2Option toilet beats all the toilets in the industry by its unique design, elegance﻿ and glossy appearance. Read our American Standard H2Option Review to learn more (check latest price ). Not the last, yet again we are here with a review of another American Standard toilet which is the H2Option Siphonic Dual Flush Round Front Toilet. The last one we reviewed was an elongated model, however; the Siphonic Dual Flush has a round seat, manufactured in Vitreous China and is built with the EverClean surface. 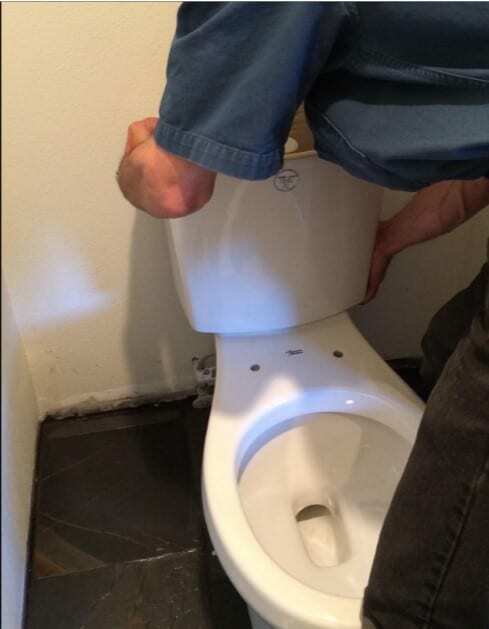 Not to mention that American Standard is a well-reputed brand recognized for decades and is still the users first choice when it comes to a buying a new toilet for their bathroom. The H2Option Siphonic Toilet is also water efficient and being a one-piece unit; it is easier to clean and assemble. This toilet promises to provide comfort to its users and has a proper sanitation system. Unlike many standard toilets, the American Standard H2Option toilet doesn’t leak and will last for several years. Some of the users have been using it for over 15 years without any issues. Best of all it offers a very powerful flushing system that makes it stand out from the other models in the market. Well, if you are interested in buying a new fixture for your bathroom, then we highly recommend considering the American Standard H2Option Siphonic Dual Flush Round Front Toilet. Undoubtedly, the American Standard H2Option toilet beats all the toilets in the industry by its unique design, elegance and glossy appearance. The toilet comes with a combined cistern and uses EverClean surface that inhibits the growth of bacteria, mildew and mold. Moreover, its one unit feature makes it easier for you to clean it. The levered flush system, the shape of the bowl and height of the toilet makes it ADA compliant and ideally perfect for the elderly and disabled people. The toilet is water efficient. It has a 4-inch non-adjustable piston that is combined with an accelerator flush valve to deliver a high-pressure flush by consuming only 1.6 gallons. The 2 3/8 inch trap way that is fully glazed gives a smooth passage of waste into the drainage system. The company has tested the flushing system and guaranteed that it can easily move 2.2 lbs. of waste material. 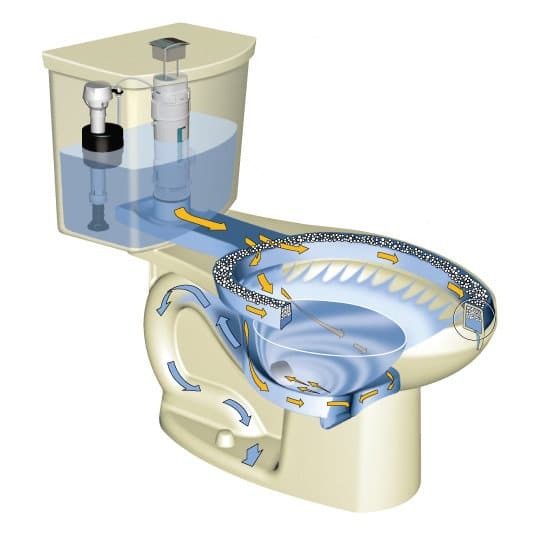 The toilet is water efficient and consumes 1.6 gallons per flush. The powerful flushing system pushes the water with the full force of natural gravity into the toilet, and this cleans it without leaving any stains behind. One-piece toilets are relatively easier to clean as compared to two-piece models. You can use your regular toilet detergent for cleaning purpose. For internal cleaning, the high-pressure flushing system is enough. It also prevents any clogging, growth of mildew and smell causing bacteria. The American Standard H2Option Siphonic Toilet is backed with 2 years solid warranty. Don’t worry about its quality, durability and performance. You won’t be disappointed at all. 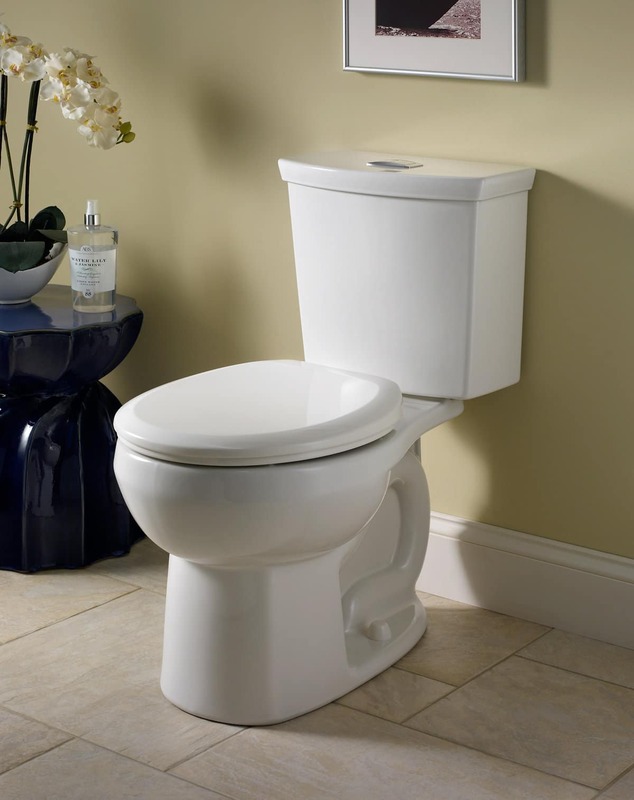 Unlike most of the standard toilets, the American Standard H2Option Siphonic Toilet is very easy to install. It comes as a single unit, though it increases its overall weight requires minimal installation fuss. It is designed to fit 12 inch rough in. 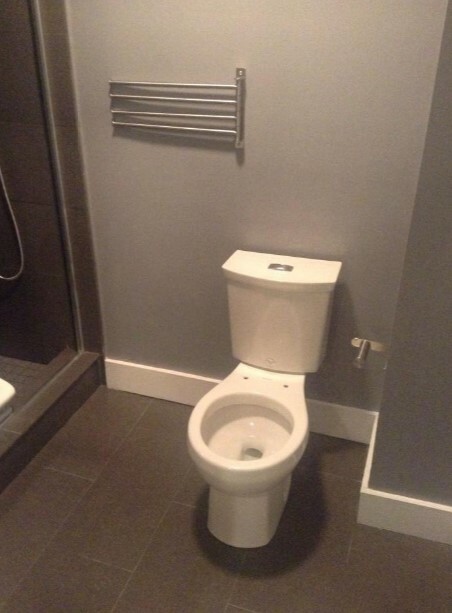 You will need the assistance of another person to position this toilet properly, however; the instruction manual guides you how to install it. Don’t worry; you won’t be having troubles dealing with the nuts and bolts. Simply secure it to the floor, attach the water supply, fit in the seat and that’s all. You are done installing your American Standard H2Option Siphonic Dual Flush Round Front Toilet. Based on the overall American Standard H2Option Review, we have find out its pros and cons that are listed below. Single Piece toilet with a powerful flushing system that ensures a 100% clean toilet after every flush. Water efficient tank that consumes only 1.6 gallons per flush. 2 3/8 inch fully glazed trap way. Back with 2 Year Limited Warranty. Excellent performance with powerful siphoning and smart ergonomics for space saving. The toilet only comes in two colors, white and bone. People looking for toilets other than white would be restricted. Moreover, if you buy the toilet via unknown vendors, you are likely to experience damages or cracks. We recommend you to buy only through Amazon to avoid any such damages. The toilet industry has a load of brands, while a few can be trustworthy. American Standard is one of them. Whether it’s H2Option Siphonic Toilet or the Champion-4 toilet, both are your best and long-term investment back with a warranty. 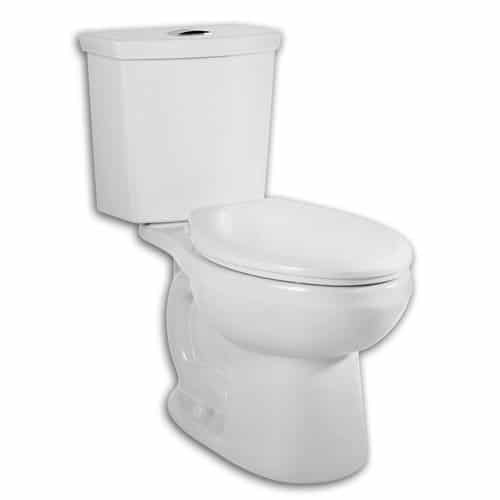 This dual flush front round toilet promises to provide quality and comfort to its users. Check out its pricing and customer revie﻿﻿ws on ﻿﻿﻿﻿﻿ Amazon today. Learn more about American Standard H2Option Toilet﻿﻿﻿﻿﻿﻿﻿ at Amazon and take a look at its latest price! Click here to read more reviews of this toilet! 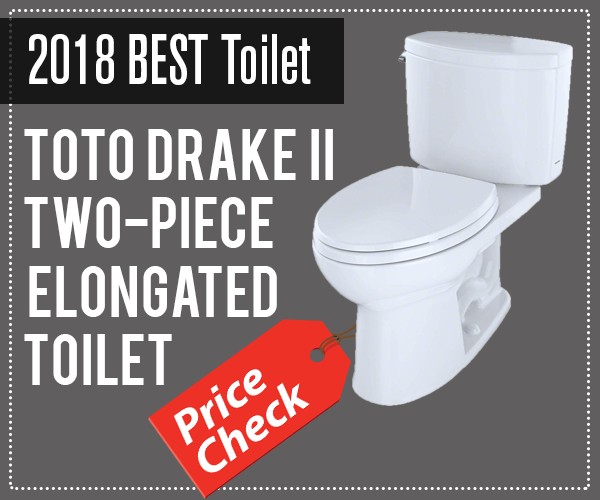 If this is not the right toilet for your needs, then check out our other best toilet reviews and comparisons and find the right one for you!